On this last day of 2016, there is no time for summary of the year or getting ready for a big new year celebration or so. 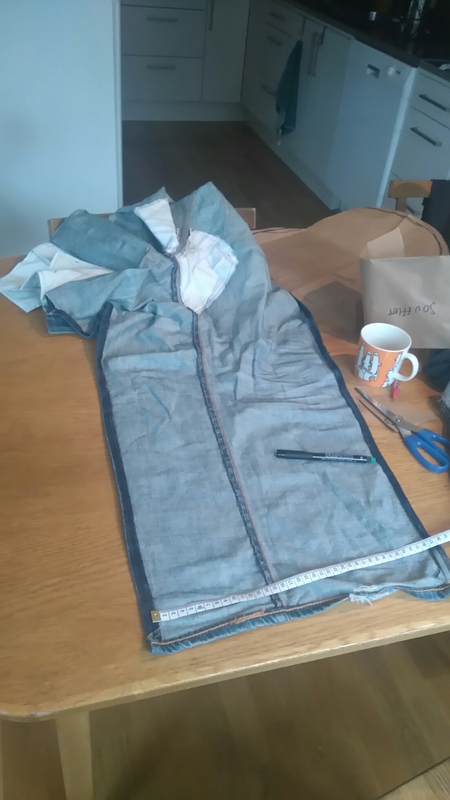 Today, I sewed. 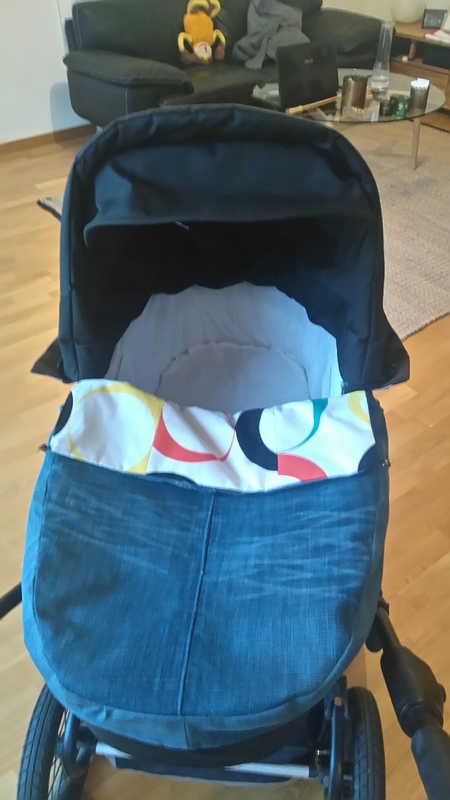 We got a stroller from friends for the baby (I still wonder when he/she will go out, 8 days after due date…). Unfortunately, a cover was missing but there is never a “problem” that cannot be solved! A reversible cover, with one side in jeans and the other side in rests of fabric I had at home. It took me about 4 hours and one detail must be improved but I’m pretty happy with the result. Now, time for some more episode of “la trêve” (serie on Netflix we began to watch yesterday). And maybe a nap. The probability that I’ll be awake when 2017 comes in is pretty liw. But I count on you, readers, to celebrate!